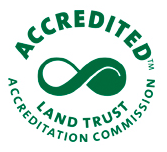 The “Learn and Earn” program is made possible by a grant from the ​Massachusetts Clean Energy Center​. “We are thrilled to be working with these bright students to bring more awareness around Clean, Renewable Energy and its benefits to the region,” said Nicole Morris-McLaughlin, Southcoast Energy Challenge Program Manager. 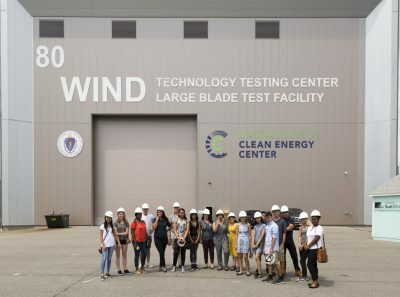 In the past 3 weeks, students have been given insider access and exposure to the Renewable Energy industry, such as a visit to the Wind Technology Testing Center in Boston, MA and guest speakers from BlueWave Solar​, the Massachusetts Clean Energy Center, and ​Self-Reliance​. This Wednesday, August 1st, they will tour the New Bedford Marine Commerce Terminal with Vineyard Wind at 10:30am. “It is an honor to be apart of a program that not only teaches us about solar energy and energy efficiency but also techniques on how to market and promote this product,” said Amanda Braga, the Student Marketing Intern. The students will also be operating their own stand at the New Bedford Farmers Market starting this Thursday, August 2, reaching out to the community educating them on the benefits of switching to rooftop solar and community solar; they hope to sign residents up for home Energy Assessments through MassSave or the Local Community Action Program – PACE. The Southcoast Energy Challenge ​ works to advocate for households in Southcoast Massachusetts to have access to clean, efficient, affordable energy by developing grassroots leaders from these communities. By improving Energy Efficiency and promoting Clean Energy in this region we will save households money, improve their health, improve the health of the environment, and increase the value of homes. The Southcoast Energy Challenge is a program of the Marion Institute, a 501(c)(3) nonprofit​ organization based in Marion, MA. The Marion Institute strives to inspire and connect people of diverse backgrounds with the common goal of fostering positive social change.